How do I remove spacing on the right? How do I remove the white space on the right of the form and decrease the vertical space between the text fields? when it is shown to people. Being of this here, causing re-drawn problems. I have a quick solution on your form. Please follow instructions below. First, remove your CSS files on the Form Styles to this new one. 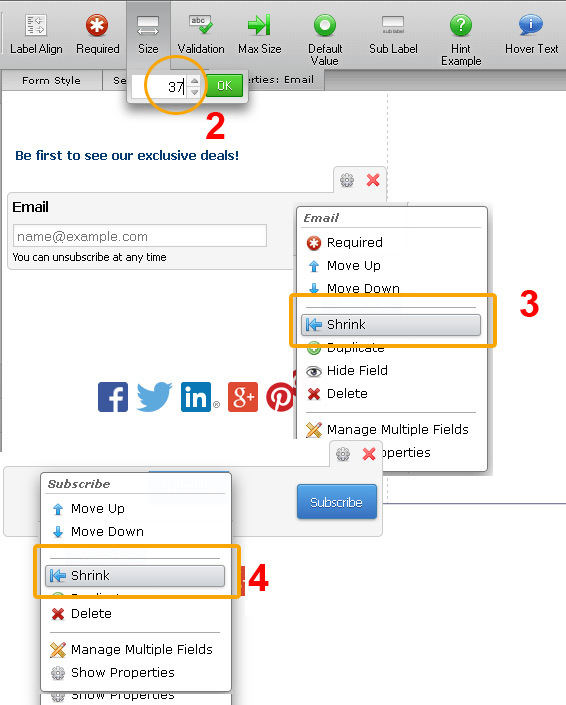 Follow screenshot below and regarding to the size(width) of your input email box, you can change that with your desire size. Did you attempt to submit a reply to my colleague? If so, unfortunately it was not posted. Please try again by going to http://www.jotform.com/answers/465649 and posting it in the thread.